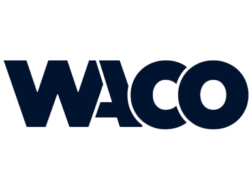 Formed in 1973, the WACO System is an exclusive global freight network for independent forwarders. The group currently includes 112 independent forwarders in 109 countries and holds two meetings a year, facilitating hundreds of bilateral meetings for members to network and grow business. Chapman Freeborn was the first charter company to obtain associate vendor membership and provides WACO members with worldwide cargo charter solutions and on board courier (OBC) services for small shipments.